It wouldn’t be the NFL playoffs without a playoff game on the Frozen Tundra of Lambeau Field. Tonight we’re going to dip a couple degrees below zero wind chill. With both of these teams allergic to running the football this game is tricky to pick. However the Packers have committed to running the football in recent weeks with #88 Ty Montgomery in the backfield. How will he hold onto the football with playoff intensity hitting?? He led the team in rushing this year with 457 yards but McCarthy may use #22 Aaron Ripkowski more. He’s more 3 yards and a cloud of dust but he is conditioned to the hitting from close proximity more. Fumbles are critical in cold weather playoff games. Over the last 6 years of his career, this has been the hardest season to watch him. He just hasn’t looked comfortable all season. His play has been sporadic even though he threw for 4,027 yards 26 TDs and 16 interceptions. Much of this has to do with Odell Beckham’s ability to break big plays for him. He has to keep from turning the ball over on his side of the 50. Which Eli Manning is going to show up? 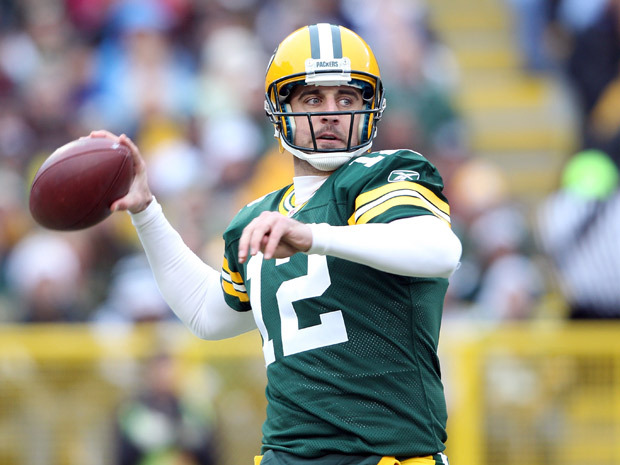 Aaron Rodgers has had another great season and many think he should receive MVP consideration. He finished the season with 4,427 yards 40 TDs with just 7 interceptions. He led the Packers to a 5 game winning streak to finish the season as he predicted they would run the table. However none of this happened in below zero weather. For the last 5 years our CEO has questioned if this is the best approach to winning in Lambeau in January. It hasn’t panned out. Ripkowski could be the unknown factor. The penchant for Mike McCarthy to pass, pass, pass could play in the Giants hands as their defense is leading their charge. He has to fight that urge and stay on the ground. Although the Packers have scored over 30 in their last 4 games, the Giants have held 3 of their last 4 opponents to 10 points or less. New York comes into this game with the NFL’s 10th best defense giving up 339 yards per game. However a closer look and the Giants have only given up 288.5 yards per game in the last 4. That would have the Giants ranked #1 and this is how they are coming into Lambeau Field. Early in the season Green Bay receivers were having a hard time getting open. Now they face CBs Janoris Jenkins, Eli Apple, and Dominique Rodgers-Cromartie who have jelled into the best secondary in football. At least from the corner position. They will smother the slow Packers receivers. Jenkins and the CBs for New York are the key to New York winning this game. On the strength of this defensive matchup and the cold, the defense will keep Eli and the offense in it. They will need 1 or 2 explosive plays from Odell Beckham and the Giants will win a close game 23-16. Eli Manning has always risen to the occasion when he needs to make that one play. When we last saw the New York Giants, they were hoisting the Lombardi Trophy in Indianapolis. Lingering questions remained about the impending personnel decisions on RB Brandon Jacobs and DE Osi Yumeniora. 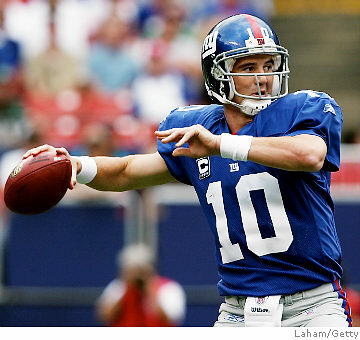 Which obscured the real reality: Eli Manning is on his way to becoming a Hall of Fame quarterback. One who will win more championships than his celebrated brother Peyton when it’s all said and done. He is also surrounded by several playmaking receivers in Victor Cruz and Hakeem Nicks. The Giants rely on a stout pass rush, and tactically sound defense and with the emergence of DE Pierre Paul on a relatively young team, it would appear that they’re not done competing for championships. Tom Coughlin’s group won it all with the worst record ever at 9-7, yet proved an axiom that is becoming the NFL’s most prevalent theme: Just get hot going into the playoffs. It worked for the Giants last year just as it had with Green Bay the season before. Will the Giants repeat as champions or further frustrate their fans with spotty inconsistent play?? Quarterback: After another mind numbing last second drive to upend the New England Patriots in a Super Bowl setting, Eli Manning’s legend is growing and he has half of his career to build upon it. However Giant fans have to realize that Manning may never turn in a Joe Montana-like season where he just completes pass after pass for a 70% completion rating. Get used to it Giant fans, Manning is like a great “B” student. He will stumble on some assignments but he’s a great test taker and comes through in the end. Do you realize Manning is now 7-1 in postseason games away from the Meadowlands? He now has postseason wins over an 18-0 Patriot team in Super Bowl XLII, and an upset over a 15-1 Packers team in last year’s playoff. He is the only quarterback in NFL history to defeat 5 postseason foes with records of 13-3 or better. No one even comes close to that. 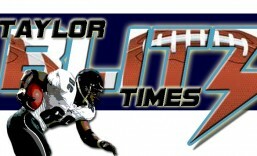 We here at the Taylor Blitz Times tried to prepare you of his ascendant potential before the NFC Championship last year. https://taylorblitztimes.com/2012/01/18/2011-nfc-championship-preview-eli-manning-the-silent-killer/ He just missed becoming the fifth quarterback in NFL history to throw for 5,000 yards in a season with 4,933. That is the highest for a Super Bowl champion quarterback by the way. For the season, he was 359 of 589 while throwing for 29 touchdowns to just 16 interceptions. You look at 61% completion rating and think “that’s not that high”, yet a closer look reveals he lowered his interception total from 25 the year before. Credit that to a more mature Manning throwing the ball away more. His maturation as a quarterback was evident in last year’s playoffs. 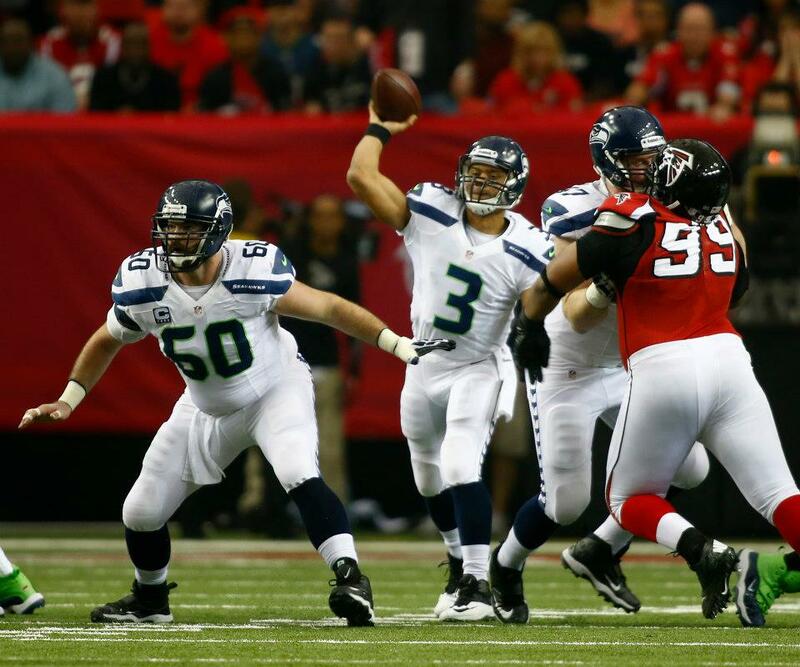 He was in total command in both the NFC Championship Game as well as the Super Bowl. When the season was on the line, he led his team to a 17-14 4th quarter lead gunning a 17 yard touchdown to Mario Manningham. Then the winning drive in overtime. If that weren’t enough.. in the fading minutes of Super Bowl XLVI, Manning got his team out of the shadow of their goal line with a 38 yard strike to Manningham. Eli looked down the middle to hold the Patriot safety, subtly took two steps to his left (shortened the trajectory of the throw) and fired the best pass seen in a Super Bowl. Complete command in that situation and again he was flawless in the 4th quarter. Remember last year before the season Manning was asked; “Are you an elite quarterback? ?” Everyone scoffed when he responded “yes” well he shut up a lot of critics. Even though he’s a great “B” student the Giants at quarterback get an A and is Super Bowl quality. Offensive Backfield: Although they weren’t necessarily thunder and lightning, Brandon Jacobs and Ahmad Bradshaw were an effective tandem running the football. Yet this partnership has ended with Jacobs signing with the 49ers and let’s face it, at times he just didn’t run with the thunder a 264 lb running back should. Part of that was the fault of the coaches trying to run him wide. Other times he “beat his feet” before hitting a hole and could be stood up by a scraping linebacker. Bradshaw had a good year and was the most versatile RB the Giants had. He ran for 659 yards and 9 touchdowns in spot duty, and also caught 34 passes out of the backfield for another 2 TDs. He’s a good space runner out of 3 and 4 receivers sets yet may have to handle pushing the pile at the goal line this year. Not sure he’s suited for that. In the Super Bowl he scored from a multiple receiver set in the final seconds. Who is going to be this team’s goal line runner?? The Giants brought in a potential playmaker in draft pick David Wilson out of Virginia Tech who was ACC Player of the Year. When you look at how he plays…he’s a quicker, shiftier version of Bradshaw with more of a burst. If he can pick up the blitzes he may be the starter by the time we get to September. During the draft just about every play showcasing his ability came from spread and multiple receiver sets. Think of him as a quicker, thicker Dave Meggett who can also return kicks. Running back is average in New York and we have to find out who will be the 3rd & 1, 4th & 1 guy. Receivers: This is one of the quiet strengths of this team. Last year’s emergence of Victor Cruz illustrates how well this position is taught in New York. Everyone forgets offensive coordinator Kevin Gilbride used to coach the run and shoot in Houston. Along with Tom Coughlin being a former wide receiver coach we now understand how Hakeem Nicks caught 76 for 1,192 yards and 7 touchdowns in a supporting role. The star was Cruz who gathered in 82 asses for a whopping 1,536 yards and 9 scores. His average was over 3 yards greater than Nicks last season who was thought of as the team’s deep threat. At 23 and 25 years respectively, these two should terrorize NFC East foes for several years. No wonder Dallas drafted a CB #1. Definitely this team is Super Bowl quality at receiver and that is before we get to draft pick Reuben Randle out of LSU. He will have to learn the routes just as an undrafted Cruz picked them up. You can clearly see Gilbride’s teachings when the Giants face zone. You will see their receivers hook in open spaces and then slide behind adjusting linebackers on intermediate routes. A complete run and shoot principle. These guys may go for over 1,300 yards each this season. Offensive Line: This is an area of concern for this team. What came first the chicken or the egg?? What we mean by that is has this team become a passing team out of necessity or can they run the football?? According to NFL accounting it was out of necessity. The Giants were last in rushing with 1,427 yards and last in average with 3.5 yards per carry. That’s terrible and the worst ever for a Super Bowl champion. These guys just aren’t driving anyone off the ball…period. Otherwise the Giants wouldn’t have gone after two OT in this year’s draft. Passing the football they fared pretty well ranking 7th with 28 sacks yet were middle of the pack getting Eli hit with 72 hits. This could be attributed to Manning’s quick decision making more than the line’s total performance because he took a lot of hits. We have to see what type of camp draftees Brandon Mosely (Auburn) and Matt McCants (UAB) have to see if one goes after Kareem McKenzie’s job. This line is in a state of flux and may need to meld the early part of the season. Right now the line is well below average. Defensive Line: Clearly a strength and possibly the heart and soul of this team. The story of the 2011 campaign was the emergence of 2010 1st round pick Jason Pierre Paul, who impersonated Michael Strahan to the tune of 16.5 sacks. Incredibly he was third on the team in tackles with 93 total. That is a high tackle number for a DE. His combination of size and athleticism could be the finest ever seen in a defensive end. Remember the footage of him doing back flips before the Super Bowl?? Yikes! He’s just tapping into his potential and could have won NFL Defensive Player of the Year honors last year. However it’s the total rotation package with fellow DE’s Justin Tuck and Osi Yumeniora that has opponents struggling with whom to focus the most attention on. Tuck has to bounce back from a season where his sack total fell from 11.5 in 2010 to 5 last year. Of course he missed four games with injury but going into this year he should see far fewer double teams with Pierre Paul on the other side. It’s still unclear if Yumeniora will return yet the Giants also signed 350 lbs Shaun Rogers to help plug the middle. Last year this team was 3rd in the NFL with 48 sacks. This year if they can return healthy they could hit 60. Defensive line is Super Bowl quality in Gotham. Linebackers: Surprisingly this team didn’t go after a linebacker in free agency or the draft. Michael Boley seems to be the only complete linebacker of the bunch. He made plays all over the field and was 2nd on the team in solo tackles with 74. Mathias Kiwanuka did have a solid year but gets lost out there at times if his hand isn’t on the ground rushing the passer. Super Bowl hero Chase Blackburn was re-signed after a short trip through free agency. Aside from Boley, Kiwanuka, Blackburn, Greg Jones, and company are pedestrian linebackers each with clear shortcomings. Kiwanuka struggles in space where Jones, Blackburn can’t disengage if linemen get their hands on them. Hence the Giants can be run on…hence their 19th ranking against the run. They don’t have a true middle linebacker and until they do this is the only weakness of this defense. Linebacker is below average. Secondary: The most versatile secondary in the NFL yet the loss of CB Aaron Ross would have been a greater impact had the Giants not drafted CB Jayron Hosely out of Virginia Tech. Truth be told the Giants run a lot of zone behind that pass rush. So this team should be good with current corners Corey Webster and Hosely if he can get into camp and develop quickly. One of the personnel packages that worked out well was when the Giants could use S Antrel Rolle, a converted corner, to drop down and cover a TE or 3rd WR as well as most corners. If Hosely isn’t ready and the G-men have to go with a veteran on corner opposite Webster. Speaking of Webster, he’s coming off his best season as a pro where he picked off 6 passes, returning them for 71 yards. Webster should make his first Pro Bowl this year. With a 3rd safety in Deon Grant seeing playing time the Giants were able to play with 3 safeties and gave extreme flexibility to their exotic coverages. Defensive Coordinator Perry Fewell utilized his backfield in a varitey of ways. They played a cat and mouse game in obvious passing situations as in Super Bowl XLVI. In the second half they lined up safeties Kenny Phillips and Rolle just 15 yards off the ball in what looked like a cover two. At the snap Brady read cover two yet the safeties DIDNT go deep, they stayed in the 15-20 yard zone right off the line of scrimmage and dared the slow Patriots to throw deep. Which they couldn’t and the Giants shut them down in the last two drives. They need rookie CB Hosely to develop or they’ll have to go more vanilla with personnel and play call manipulation. Early on there will be some defensive breakdowns and it’s imperative the pass rush shows up as the 2012 season begins to cover these shortcomings. The last line of defense is a “B” right now but can improve to Super Bowl quality if they can get the corner situation handled. Overall: Again Giants fans will be frustrated by the Giants inability to roll up their fists and hit their opponent with a haymaker and win the game big. They will always play close to the vest affairs and should finish this season with a 10-6 record. 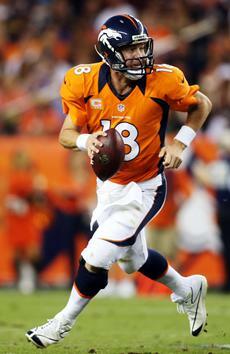 Manning will have a great season and is unquestionably a leader on this team. In defensing their title, we believe they’ll make the playoffs yet lose in the divisional round after a typical late season push to gain the playoffs.